Never before has the checkout and payment processing portion of a retail experience been so important, according to the latest research in a report released by iVend Retail. The 2019 Shopper Trend Report includes insights from over 2,700 shoppers and the findings revealed vital changes in shopper attitudes and behaviors compared to previous reports. The most monumental theme from this fourth annual report? The retail shopping experience needs to be fast and it needs to be convenient – especially when it comes to the checkout process. One of the most notable statistics that emerged regarding consumer attitudes relates to the checkout experience. U.S. shoppers were asked which aspects of a retail shopping experience they most valued; the definitive answer, at 84.8 percent, was an easy, quick checkout process. This finding exceeded the second most valued aspect, free and easy returns, by a margin of nearly 20 percent, showing not only that shoppers think the checkout process is important, but also that everything else is secondary. Merchants need to take note and invest resources to ensure the process is as efficient and painless as possible for customers whether they are shopping online or in a store. Downtime and processing lags can hurt the customer experience faster than any other area and decrease customer retention rates. Shoppers want to be able to grab and go when they are in a physical store, making options like buy online/pickup in-store (BOPIS) increasingly popular. The 2019 shopper report revealed an impressive increase of 30 percent in BOPIS usage over last year. This in-and-out mentality is also reflected in the attitudes toward sales associates with mobile handheld devices. Almost half (45.2 percent) of respondents said they want store associates to have handheld mobile devices for payment processing. This is a jump of 14 percent over last year's results. Shoppers increasingly don't want to wait in line and want to see self-service options to expedite checkouts. A surprising 59.6 percent of shoppers said that a self-checkout to purchase items without the assistance of a cashier was a motivating factor for choosing a place to shop. Nearly a quarter of those surveyed in the United States (24 percent) said contactless payment or mobile wallet technologies had motivated them to shop with a retailer. This will likely pick up momentum as consumers become more familiar with the technologies and as adoption increases among U.S. retailers. It's not an exaggeration to say the research indicates retailers need to be hyper-focused on ensuring their in-store and online systems are providing the best possible experience for their customers. A large part of that experience is the checkout and payment process. Investing in the right technologies to assemble a beautifully executed system will be dependent upon choosing the best payment processor combined with the right retail management software. 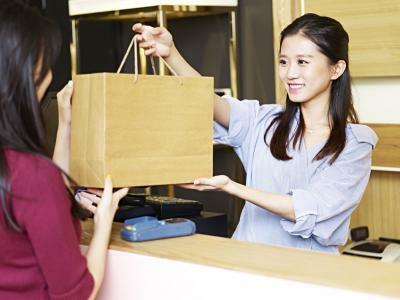 This strategy is going to position U.S. retailers for growth in the current consumer climate. With an integrated system, merchants can reap the rewards of added functionality like ability to upsell and cross-sell without slowing down the checkout process. With 84.8 percent of consumers valuing a quick-and-easy checkout process above all else, consider dropping this statistic in your value statement to show the importance of investing in technology that can meet customer expectations regarding the checkout experience. A slow or clunky payment process is going to cost merchants at the POS and leave a distasteful, lasting impression on customers. As vice president of global marketing for CitiXsys/iVend Retail, Mia Farber is responsible for providing leadership and executing on marketing strategy for CitiXsys and its integrated retail management solution, iVend Retail, on a global level. She brings 10 years of marketing experience for B2B and B2C technology companies in the retail, supply chain, and food and beverage sectors. iVend Retail enables retailers to accept every payment method available whether the customer is paying in-store, online or on-the go and also integrates with leading payment providers worldwide. Contact her by phone at 212-745-1365 or via email at newyork@citixsys.com.